Hyundai hopes the Kona will help revive U.S. sales. SEOUL -- Hyundai Motor workers in South Korea have stopped building the Kona crossover this week ahead of Canadian and U.S. launches — a protest against what the automaker's labor union says are plans to trim assembly line headcount. The union, which is also in annual talks with management over pay, warned that a wider strike was possible. 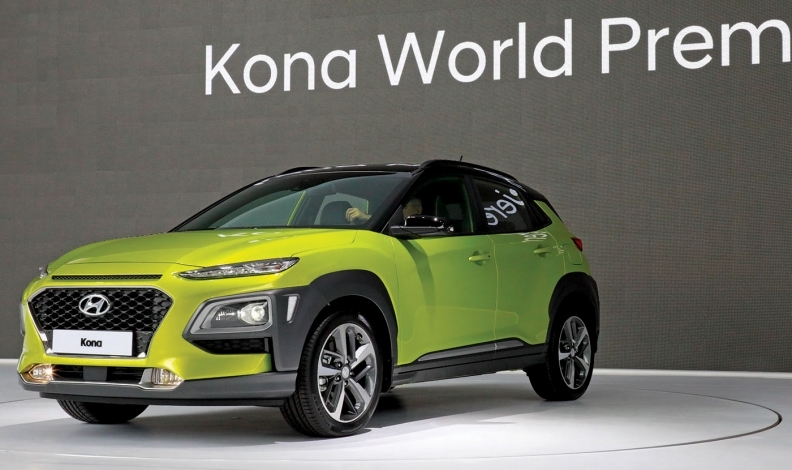 Hyundai has been in discussions with its labor union since October on production plans for the Kona, a key model that it hopes will reverse sales slumps in Canada and the United States. Hyundai brand sales in Canada are down 7.3 per cent to 113,390 through the first 10 months of 2017. The union contends that the automaker wants to introduce more automation and outsource more assembly of key sections to part makers — plans that it vehemently opposes. Hyundai management argues that the union is making "irrelevant demands" such as requests for extra windows in the factory as part of the production discussions. The automaker's decision to start production of the Kona on a new assembly line last week was made without consultation with the union and was unacceptable, union leader Ha Boo-young said, adding that a wider strike was possible "should there be another provocation by management." The move comes ahead of a planned unveiling of the U.S.-production version of the Kona at the Los Angeles auto show on Wednesday with U.S. sales slated to begin early next year. The Kona is currently sold in South Korea, where it has proven to be a popular model, as well as in Europe. The two days loss of production so far this week is equivalent to 1,230 vehicles, Hyundai said. Hyundai Motor President Yoon Kap-han said it was regrettable that the labor union was disrupting production for a high-demand model at a time when most of its plants were "suffering from the worst sales slowdown." Hyundai's global sales fell six per cent from January to September compared with the same period a year earlier, as a lack of crossover and SUV models hit sales in the U.S. market and a diplomatic row between Seoul and Beijing hurt sales in China.